By adopting short-term solutions, businesses are preventing themselves from benefiting from automation. Any uncertainty (or hope) that MTD for VAT will not go ahead as planned from 1 April 2019 was removed in the Spring Statement, with the Government expecting businesses to do their best to comply with the requirements. The one recommendation on which everyone is agreed is that “Businesses need to enrol into MTD for VAT at the right time, and only when they are confident that they can submit their next VAT return using MTD compatible software, otherwise problems can arise”, as stated by Adrian Rudd Chair of the joint CIOT/ATT Digitalisation and Agent Strategy Working Group. Perhaps this will now galvanise those procrastinating to grasp the nettle and perform a full requirements review before commencing the vendor selection process, from the vast array of recognised providers. There is a plethora of information available, much of it originating from advisors and software suppliers rather than HMRC. In the run up to MTDfV mandation, businesses have expressed a number of concerns. A report from the House of Lords Economic Affairs Committee found these included the MTD timetable, lack of information from HMRC, and the level of product support that business can expect from software suppliers while other have expressed concern over whether data will be retained through software product changes, ensuring compliance with the six (or ten) year retention policy, as required for VAT. Furthermore, satisfying the digital link requirement from the transaction records to the VAT return submission is particularly problematic for those more complex businesses that are partially exempt, use a special VAT scheme, have fuel scale charges etc. 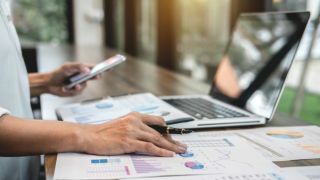 These businesses require normal accounting adjustments to arrive at the correct VAT calculations, naturally disrupting the digital audit trail. The resulting lack of resolution is leading many businesses to invest in basic MTD software and this is a chief concern in the House or Lords report. It warns short-term compliance that focuses just on 2019 requirements will jeopardise the wider benefits associated with tax transformation and that MTD should be motivated by “productivity, efficiency and modernisation reasons rather than just tax compliance”. Our market research found that almost 70 percent of organisations today are seeking a stop-gap solution with no immediate plans to scale to meet the MTDfV digital links requirement for next year. This short-term view could see these businesses lose out on the benefits associated with transforming their processes, such as automation efficiency, control over data, decreased compliance costs and more productive use of employees. To become fully compliant for 2019, businesses will need to keep digital records and establish digital links between the VAT calculation and the return submission only. This may be satisfied by implementing a bridging solution. Compliance becomes trickier when full digital links from the digital records to the VAT return submission become mandatory in 2020. An agnostic solution providing connectors to automatically extract data at source from the accounting system(s) that then loads this into the VAT compliance software (or calculation spreadsheet) will provide additional benefits. Bridging solutions aren’t set up for this form of data capture, making it necessary to implement a new solution, so businesses should seek a digital end-to-end solution today to minimise disruption. MTDfV is just the starting point. HMRC has the ambition to become one of the most digitally advanced tax administrations in the world. There is an additional VAT API endpoint for supplying “supplementary information” and if HMRC follows the example set by tax authorities in countries such as Spain, Poland and Brazil, we can expect to see requirements for the provision of electronic transaction data to allow HMRC to electronically audit and analyse the underlying data. There’s also the spectre of further regulation. HMRC has already planned to bring corporation tax and income tax under the MTD banner from 2021, once MTDfV has bedded in. MTD for corporation tax will need to accommodate more complex processes and more frequent, quarterly, reporting. Putting the systems and processes in place for MTDfV that can support these additional regulatory demands is paramount in enabling businesses to cope with more near or real-time reporting. MTD solutions must be able to scale. In addition to a digital bridge which populates and submits the return using digital records, there must be digital linking between back-end accountancy systems, with that data then passed to a compliance engine. It’s this engine that holds the key to future efficiency and productivity, not just through the automation of processes but through access to advanced guidance, past, present and future obligations, and the ability to easily query data. Then the business will have a futureproof solution robust enough to withstand further regulatory change.